Are you planning a Milwaukee Bathroom Renovation? If so, get a free bathroom renovation quote by calling Workhorse General Contractors by calling us at (414) 384-9999 or click here to connect with us online. We are a full-service general contractor in Milwaukee, WI specializing in bathroom renovations, kitchen renovation, plumbing, electrical, roofing and so much more! From big to small, our company can handle all of your construction or renovation needs. Determine what needs to be done in the bathroom. Establish a time frame for the remodel. 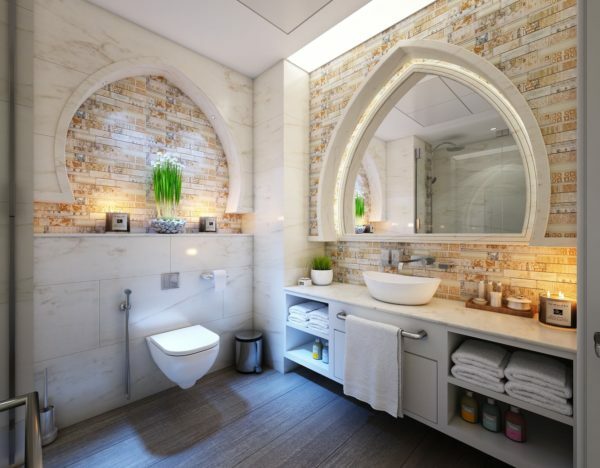 If the bathroom that’s to be remodeled is the only one in your home you will need to stay with a friend or family member while that bathroom is remodeled since it can take up to 8 weeks for a Milwaukee Bathroom Renovation to be completed. Ask yourself what needs to be remodeled in the bathroom? Does it need a new toilet, sink or cabinet? These are all questions that you need to ask before contacting a general contractor in Milwaukee. Search for inspiration online. You can find the board on Pinterest and other websites with tons of bathroom remodel ideas so you know what you want before speaking with a contractor. Think about the little things in your bathroom. This step is important because many people often realize when it’s too late that there’s something, they forgot to have added during their bathroom renovation that they would have really liked. Pick out tiles and fixtures that you like in person. This can be done at stores like Home Depot. Contact a general contractor in Milwaukee. When contacting a contractor make sure that they have a good rating with the BBB, plenty of reviews online and feedback from their former clients because this will make your job of choosing the right contractor easy. We believe that remodeling should be a “win-win” situation with our customers receiving high-quality products and unsurpassed service, and the contractor benefiting from a loyal customer. Our professional designers will create a beautiful, functional and innovative space based on your vision, budget, lifestyle, and family. We understand each home needs to be unique to its owner. This is why we will do everything we can to make sure that your kitchen or bathroom is just as you’ve envisioned it. 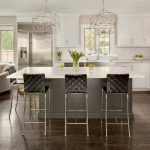 You’ll get personalized service and guidance from industry experts who will help you every step of the way until your remodeling project is completed. If you’re looking for a custom-designed bathroom or kitchen, you can tell us about your ideas and we will bring your designs to life. Call us today to learn more about our bath and kitchen remodeling services in Milwaukee, Wi. Ready for a Milwaukee Bathroom Renovation quote? Contact Workhorse General Contractors by calling us at (414) 384-9999 or click here to connect with us online.